Linux user would know what is a pipe, and named “|” as the pipe character. Named pipe is actually similar, the difference is, a linux pipe persist as long as the process that uses the pipe last. But a named pipe persist even if the process have closed. Of course you can replace cat and echo with your own process. One way this is really useful is by opening the pipe in your program. As you can see it shares semantic with file object, with open(), read(), write(), but with caveat. Here you are a simple way to do IPC on linux using file semantic. So recently one of my project allow me to have experience on gevent-socketio. While the code is open source, it can be complicated. Thus the example I show here, while not serious hopefully will make things easier to see. The gevent-socketio library uses Namespace as the view logic, all the logics will be in a namespace, along with namespace, there is also Mixins that is built on top of namespace that provide extra functionality, gevent-socketio provide BroadcastMixin and RoomMixin, which is useful. line 4: This is method defined by us. We prefix on_ to an event that we want to process. In this case it is the ping event. 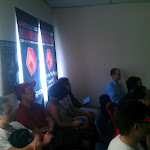 The event will be send from socketio client. The parameter attack, that is essentially the payload that we will be receiving, and we don’t need to do any conversion from json to dict, as the library handle it for us. line 7 and 9: Self.emit will emit an event to the socketio client, again the dict, is the payload that will be sent, no converstion to json necessary. This is the view for socketio. app is just your standard flask app. line 9: this is the same across socketio app, the difference here is the namespace ‘/pingpong’ and the namespace PingPong, that you will need to define yourself. line 6: this will be the line that serve the app. It will serve all the views include the non-socketio one. Hopefully this will make things slightly clearer. Btw the example on github. I have been involved in Sinar Project for some time. Along the way we have found similar initiative, different approach but using tech for doing good thing in general. Some are commercial, some are voluntary citizen initiative. None of these are with sinar project. Got a feeling we going to have more on the list. Recently I have been reading the book Data Analysis with Open Source Tools, by Philipp K. Janert. This is a book for anyone that is working with Data. 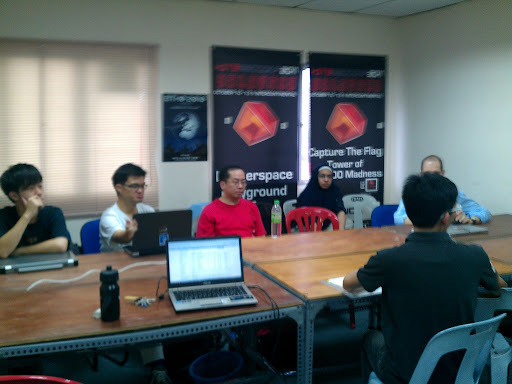 Partly because of the big data buzz, partly is the work I do in Sinar Project. But this is not a book on big data, just data analysis in general. Unlike other book that deals with data, this don’t cover specific tools, rather use tools as a example, and this books covers a few. But this book focuses on experiences and methods of doing data analysis. The book have 18 chapter, covers a variety of topic, from statistics, to simulation, clustering etc. Each with enough theory to understand, enough insights coming from the authors experience, enough hands on from demo for us to pick up from there. While this book don’t covers tools comprehensively, but the method, insights in this book make it worth keeping as a reference for doing data analysis. Recently I have given a project where we are overriding the python str object, I rather not say the reason because it is job related. But the process of it is pretty general, and is pretty interesting. A few thing to take note here. Now if object is not setup in __new__ yet, how do object access the bleep method? Introducing, classmethod. Classmethod is a method the bind to a class, not an object. This is useful if you want to do call a function before a class is initiated. Notice that inside __add__ I use bleep method like a normal method. That is the reason is set a @classmethod decorator in bleep method, I need the method to be available without need to be instantiated, while able to use it like a normal method in a object. Actually just override __add__ and __iadd__ is not enough to override the str behavior. Because the parent class str uses __repr__ to provide value to be used in a + and += operation, which is why I override __repr__ method, by replacing the return value to bleeped string. Then we need to override __str__ so that it return a bleeped string. This is just a modified example what I used in my work, and have a very different and useful function. But it capture the same idea, overriding the default string behavior and return value. Construction Industry Development Board dataset have been release, you can find it here. CPB is not dead, and the survey is over for long time, in which I too participate. Waiting for the parliament to see how. I have join Julython with a new project. Join pycon, and realize that I am still interested in big data. Join Super Happy Dev House, know some very awesome people there. Btw my project sinarproject begin to be known to more people. I most probably juggling between day job and this. So will be more busy doing than actually blogging. 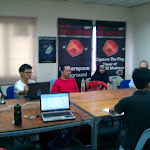 So I have organized a python Malaysia meetup in hackerspacekl last weekend. 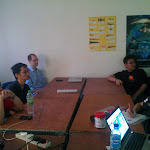 It is a good crowd, within we have developers that uses Django, Bottle and Plone to share their experience in using their respective technology stack. 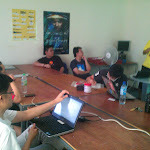 The group is a diverse one, from experienced developer using python for sometime, to new python user. 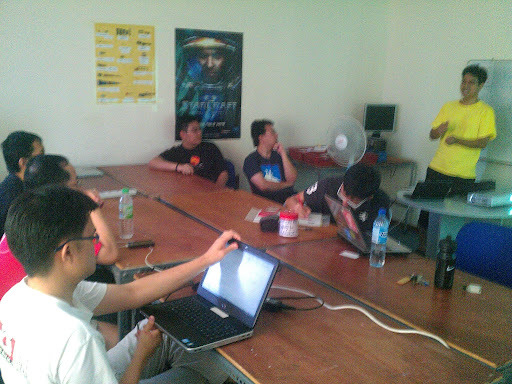 We have the usual introduction, then we have introduction to Python Malaysia. 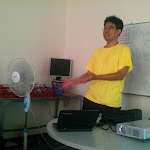 Then a talk by Yours Truly, on experience of using bottle micro framework and pyes. 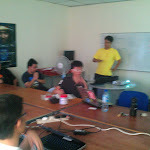 and Finally a talk by Khairil Yussoff, which is about Plone Dexterity framework, and also plone development in general. 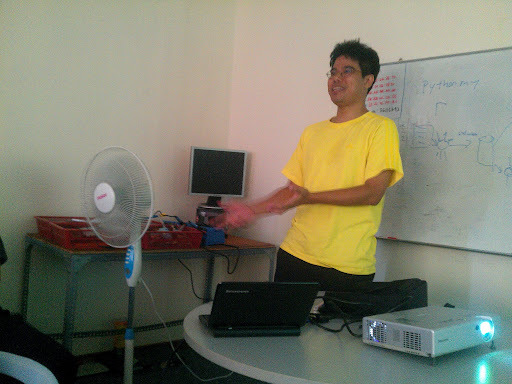 He don’t have slides, but he did hands on demo on plone development and how things work. 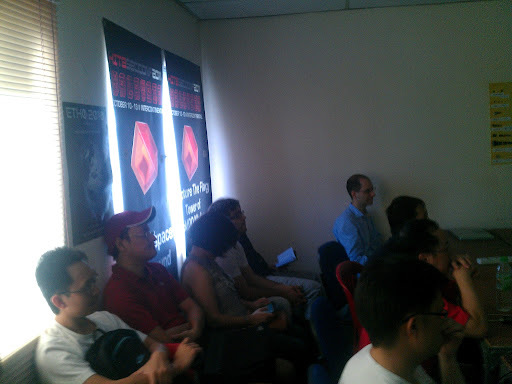 Then in between we have some networking session. 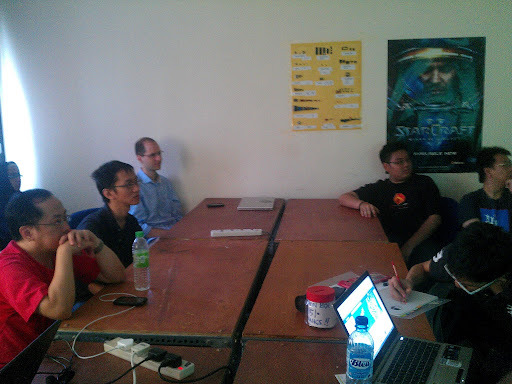 Which is good, because this meetup is not just about Python, it is about the people that uses or want to try/use it. We have everybody not just the presenter that share their experience, which is awesome. In the end of the day, this is a good event(I hope). But by July, python.my will finally be updated, things will gone more smoothly for us. Notes: A few times running an event I still can’t get it right. A few thing is missing is, video, proper photo, groups shots, etc. Maybe I should add a list. As from the link above, the Computing Professional Bill is dropped for now, asking for the industry to sort it out first. The war on it is not quite ended. One reason(or excuse depends on which side you pick) of the existence of this bill is the dropping of quality of IT professional in Malaysia, and the quality of project I suspect. Registering people will definitely not helping in bringing up quality. If one of the measurement of quality is how much we knows. Then browsing the Malaysian job sites, I come to the conclusion that we don’t know that much. Almost all job revolve around .net and php, with a few php and c/c++. Yet we knows that the industry is more than that. I mean where is the job on python, ruby and rails or node.js, where the job for CMS’es? Does it mean that the industry in Malaysia don’t know about it? 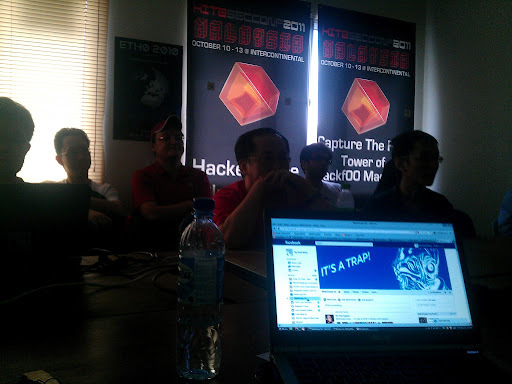 Gone to local tech meet up, only a few that use stuff that is not PHP and .net. When people develop a buzz in nosql, or node or devops etc. Where is the Malaysian? Are there only that few people will blog about this? 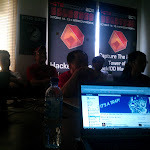 Are there only that few people that can go to the meetup, join communities? Are there only that few people in this neighbourhood that cares about this? Maybe the real problem in IT in Malaysia, it is really just that most of the people involve in IT in Malaysia, don’t care. That even with help of a legislation, it doesn’t help improve it, but only to make things worst. p.s This is very programmer specific, I apologize. But this is the group of people I have seen the most. 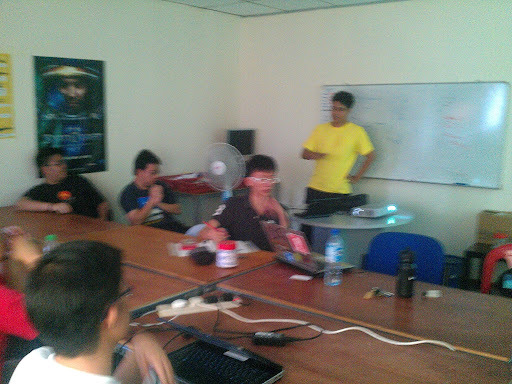 p.p.s Yes I know hack weekend exist, but there is only one hackathon in the whole Malaysia?